Dr. Duke is a frequent speaker at trading conferences and webinar events. Check him out and see a sample of the quality of Dr. Duke's coaching. You will see a difference! We aren't claiming we have "the Holy Grail of Trading" or any such nonsense. You are entering the "No Hype Zone"! Dr. Duke gives you the tools to build a viable trading business. A new course, Trade Like Dr. Duke, has been designed to cover the primary options trading strategies used in Dr. Duke's Trading Group and the Flying With The Condor™ service. Subscribers to the trading group are up 65% year to date and condor subscribers are up 8% through the March option expiration. This seven week series of private webinar classes begins Wednesday, March 20th at 8:00 pm CT. All classes will be recorded and archived. More details are given here. 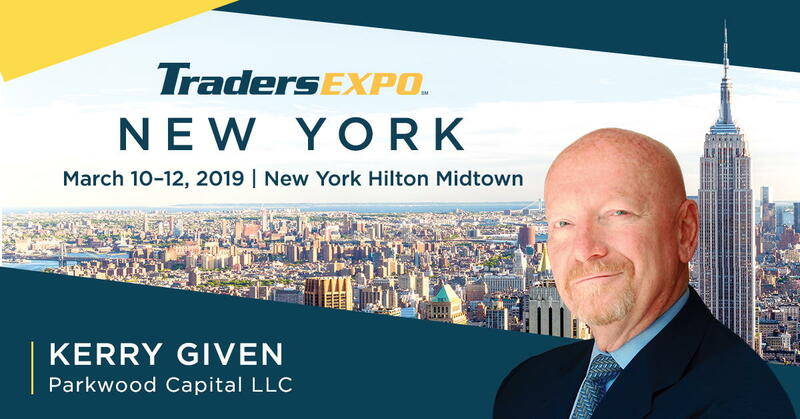 Dr. Duke has been invited to speak at the TradersEXPO Conference in New York, March 10-12, 2019. Be sure to join him for his presentation, Trading The Earnings Announcement, on March 11th at 5:45 pm. The Traders Expo conferences are always entertaining and educational events. Meet and hear from renowned financial experts and hear their approaches for navigating today's challenging market conditions. You will build upon your knowledge of the financial markets, top-performing stocks and sectors, risk management, and methods to increase your returns. Acquire new perspectives and insights, pick up a new book in the exhibit hall, and meet fellow traders. If you are planning to attend the conference, please contact us so Dr. Duke can meet with you during the conference; he enjoys discussing the markets with clients and other traders. Registration for the conference is free. It will be both educational and fun. Dr. Duke's presentations are always well received. Here is an emailed comment from one of the recent EXPO attendees: "After spending 3 days at the expo, I found the last presentation which happened to be yours was the most meaningful... Thank you!" Attendees at Dr. Duke's presentation at the the last Traders EXPO kept him in the room answering questions for over an hour after the conclusion of the presentation. Dr. Duke is real and attendees can see the difference! Conservative investors use options to grow their portfolios and protect against corrections. Many academic studies have shown that the conservative use of options in a stock portfolio will outperform the classic buy and hold strategy with higher annual returns, smaller drawdowns and lower risk. A seven session series of private webinar classes, Conservative Income Strategies, begins Monday, March 18th at 8:00 pm CT. Follow the trades Dr. Duke recommends during the course. These are actual live trades from his account that he enters each week. He has skin in the game! You will pay for this course while you are still in the course! During the seven weeks of the October course, Dr. Duke generated cash income of $7,272 in his wife's IRA account. Dr. Duke's Trading Group will meet again on Thursday, April 18th, at 8:00 pm CDT. This service's trade alerts are up a total of 81% for 2019. The overall market is reviewed at each meeting, together with the trades recommended in the Flying With The Condor™ service and Dr. Duke's Trading Group. Trading group members often suggest topics for discussion or stocks for analysis. Dr. Duke is careful to explain how he selects his trades, how the trade is positioned, adjusted and then closed. This trading group is an excellent ongoing trading education. Questions and discussion are welcomed. "Your stock selection has been terrific, and the results have been incredible. I'm getting the best spread trading results I've ever had thanks to you." "Your Thursday night meetings are quite good. I have attended other similar meetings and despite being completely enthralled with the market found them to be quite boring and basically no more informative than what I could have done. Yours seem to fly by and I felt like I was actually getting something I could use." "Just had an opportunity to view the download of Thursday night's session. Wanted to let you know how thoughtful your analysis was. You are really helping me develop a more methodical approach to my view of Mr. Market." If you are interested, but can't quite pull the trigger, send me a note and I will send you a recording of our most recent trading group meeting and you can check it out with no risk whatsoever. Conservative Income is a new trade advisory service offered by Dr. Duke. This service will show you how to use options in your retirement accounts in very conservative ways. In fact, you will be incurring less risk with these trades than the investor with a blue chip stock portfolio. Did that get your attention? It's true. Many academic studies have demonstrated that these trading techniques actually reduce the volatility of returns in the stock portfolio. This service began in April of 2016, achieved a net gain of 8.1% for 2016 (annualized return of 10.8%), grew 12.4% in 2017, and gained 3.3% in 2018. This conservative style of trading enables you to achieve double digit returns without losing sleep over your investments. Subscribers to the Conservative Income service easily cruised through the multiple corrections last year, easily beating the 7% losses sustained by the S&P 500 index. This service is up 8.5% for 2019 through March. Subscribers to this service will be able to "watch over Dr. Duke's shoulder" as he selects, configures, and manages the trades in one of his retirement accounts each month. This is the real thing. Dr. Duke will take you by the hand and show you how to apply these trades in your own accounts. This service is also available as an auto-traded service at no additional charge. Contact Dr. Duke for more information.